Tell us a bit about your family. I have been married to my husband, Neil, for 45 years and we have a beautiful daughter, Tammy, and a wonderful son, Adam, who are both married, to David and Robyn. We felt very blessed to have these two lovely people added to our family over twenty years ago. It’s been like having a second son and a second daughter, and now we have four gorgeous grandchildren. They all live quite close to us and so are able to have many family gatherings. I also have an elderly mother, who lives close by. I think our family unit is one thing I’m particularly proud of in my life, and although I certainly can’t take all the credit for the wonderful human beings our children have become, I’m very grateful for the way they have grown up, and for the precious gifts they have been to us. How has your upbringing influenced your writing? I believe that my family of origin has had an impact on who I am as a person, as well as on my writing. My mother came from a large family and was close to her siblings, so there were many large family gatherings as I was growing up. While my father was an only child after the death of his brother in the Second World War, his parents lived until their late eighties. His grandmother, my great grandmother, lived until she was 96. I was 11 at the time, but I felt surrounded by lots of family members all my childhood, and was intrigued by their stories, the different experiences they had lived through, and the changes they had seen. I felt from a young age that there was much to learn from those who had gone before, and so my interest in their history influenced what I liked to read, and then the way I like to write. Do you recall how your interest in writing originated? After many years of family history research, and finding that my ancestry goes back to the First Fleet of convicts to Australia in 1788, I was fascinated with the stories that emerged and felt they really needed to be written, not just as history but as novels – stories that could be enjoyed and through which lessons from the past could be reflected upon. When and why did you begin writing? As a child I loved to write poetry, which was my way of expressing my feelings and thoughts and reflecting on them. This continued in my early adulthood. I found this a very therapeutic and cathartic experience. At university while I was doing my PhD, I was working as an assistant to a researcher, and began writing articles about chronic and terminal illness in Psychological journals. These were focussed on the personal and emotional experiences of the participants, and based on empirical and clinical hypotheses, but it gave me a great sense of satisfaction to collect, collate and represent people’s experiences in written from, and thus inspired me to consider writing my family history in a way that reflected the many experiences of my ancestors. How long have you been writing? As I began writing novels in 2000, it’s now been 13 years of writing fiction. When did you first know you could be a writer? The articles I wrote as part of my work at the university were a great way for me to have my writing edited and assessed by professional people, and although it was in an academic setting, the practice it gave me, and the feedback I received was a confirmation that I could write. What inspires you to write and why? My family history first inspired me to write. I believed there was so much to learn from their experience of being transported to Australia from the other side of the world and having to begin a new life and overcome so many challenges. 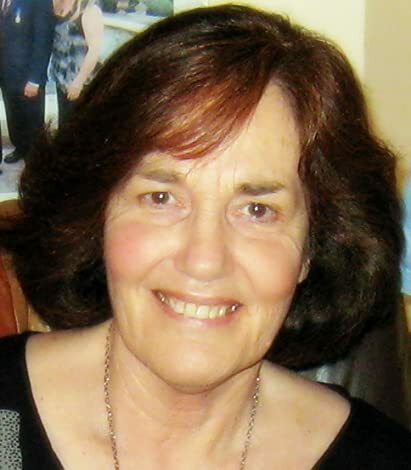 I wanted to have these stories available for my descendants and also for others who might appreciate their own lives more, and learn valuable lessons from reflecting on what others have gone through in order for them to have the fortunate life we now live in the 21st century in countries like Australia. What genre are you most comfortable writing? I am most comfortable writing historical fiction. I love to read and write books based on facts; stories that are true to life, be it life in another century or period of history. I enjoy making these stories fiction – or faction, as I like to think of them – because it enables me to fill in the many gaps between the facts we have available about our histories, and it enables me to develop characters into people readers can relate to and identify with in the 21st century. What do you consider the most challenging about writing a novel, or about writing in general? I think the most challenging part of writing a novel, is to develop characters with whom readers can identify; those they can love and hate, see themselves in, get emotionally involved with, and learn from. As a reader, it is only once I have become attached to a character and invested myself in their journey that I am hooked into a book. This is what I think is the most challenging thing to accomplish as a writer. Can you share a little of your current work with us? Currently I am completing a series of novels based on my ancestors from the First Fleet of convicts to Australia, up until the third generation of their descendants. Tangled Secrets is the third in that series, and although the stories are connected from one generation to the next, each story is also complete in itself. In Tangled Secrets the story begins with teenage children who are brought to Australia to be reunited with a father who was sent as a convict. It draws the reader into the expectations, hopes, dreams, and disappointments of those children and the journey that unfolds as they begin to build a life for themselves in their new country. How did you come up with the title? The title of this novel – Tangled Secrets – depicts the main theme of the story, which is about the struggle we bring about for ourselves and others when we try to hide the truth. Can you tell us about your main character? The main characters in my stories tend to be women, although there is always a strong male character, be he a negative or positive influence in the woman’s life. 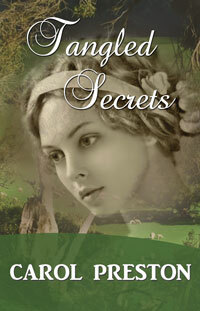 The main character in Tangled Secrets is Beth, daughter of a transported convict, who felt abandoned as a child in England when her father was taken from her. The opportunity to be reunited with him in Australia is a dream she’s held to throughout her childhood. Her hopes and dreams for her new life with her father are really high, but unfortunately she is faced with further abandonment and loss in her new home and must find the strength and resources to build a life for herself, and find the love and support she has longed for, outside her immediate family. How did you develop your plot and characters? The plot of my story basically follows the facts from research, from which I know family configurations, births and deaths, arrivals in Australia, marriages, places of settlement. From these facts and events I immerse myself in the possible feelings and course of daily life for my characters. Their personalities, responses and character development I draw from my understanding of human nature. I like to focus on a particular relational and emotional outcome; a point of growth for the character, from which readers may also learn and grow, or be inspired by. To that end I plot the kind of challenges, hurdles and opportunities which may best enable the character to reach this goal. I also like to develop a story which has a satisfying end, not always ideal in the traditional romantic genre, because I don’t see that such an outcome is always realistic. However, I do believe that a positive point of growth and change is realistic and possible so this is a strong focus for my stories. Loving and being loved are central to my plots as I believe they are the most basic of human needs, and learning to love well is core to healthy human development. Is there a message in your novel that you want readers to grasp? The main message in Tangled Secrets is that hiding the truth, or hiding from the truth, leads to many pitfalls, and is destructive to many lives. Truth, even hard truths, are best faced and worked through lovingly, and with courage. This message is followed up in the sequel to Tangled Secrets, which I’ve called Truly Free, where secrets finally come to light and must be faced. Sounds like an interesting and well-researched book.